// POP UP SALE // note this SALE is temporary in nature. Enjoy two weeks of very nice discounts on almost all woolen baby and children's clothing and knitted accessories. After 20-01-2019 everything will be normally priced again. Read more below. This POP UP SALE runs until 20-01-2019, while stocks last and can not be settled retroactively on previously placed order. Can not be combined with other codes and promotions. In the case of returns and exchanges, the above-mentioned scale will always be used to calculate the amount. Pure softness! 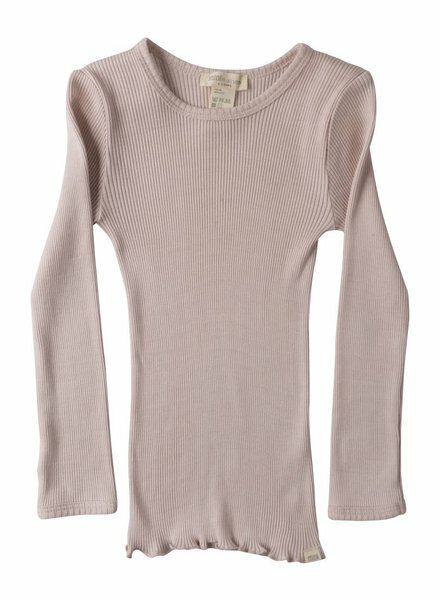 Seamless long-sleeve shirt with envelope neck in soft silk-cotton mix with round-neck. Sweet Rose / Cozy Rose have frilled rib. 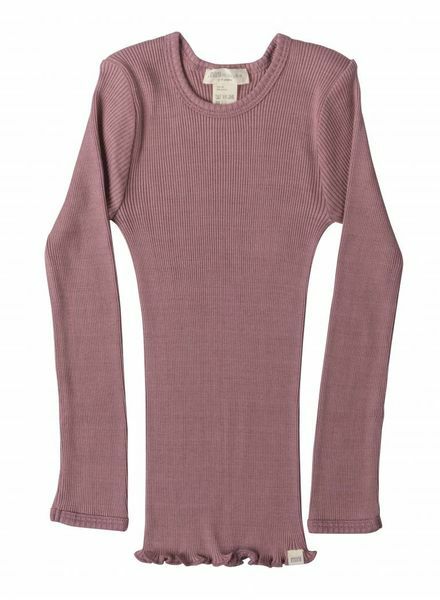 All other colours have a unisex double-stitch rib.